The need for continuous and real-time monitoring of gas emission in mines, tunnels, and industrial plants and facilities has propelled the demand for wireless gas detection. The growing demand for wireless framework of the gas detectors is attributed to the ease of deployments in various hazardous conditions such as those faced by military and security personnel. The advent of flexible and scalable wireless gas detection system offers a through multi-point monitoring of toxic gases across a facility or plant. This is bolstering the demand for wireless gas detection system. The stricter implementation of regulations pertaining to workers’ safety in several manufacturing industries, coupled with the need for mitigating risks, has boosted the deployment of wireless gas detection systems in several developing and developed nations. 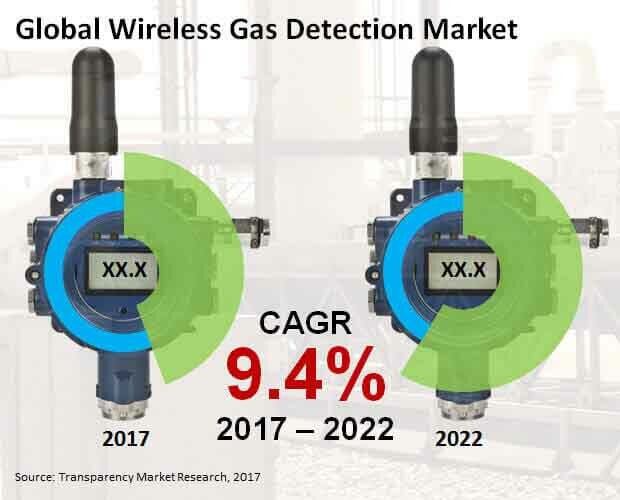 The development of intuitive and user-friendly solutions in wireless gas detection is contributing to its growth in various regions.